iPhone 5 to be announced in August, major hardware update? According to BGR Apple will be announcing a much improved and updated iPhone 5 as early as August. We have been told by a reliable source to expect a radical new case design for the upcoming iPhone, though we have not been given any additional details surrounding the design of the new iPhone case. Lots of recent rumors have pointed to Apple releasing a small upgrade form the current iPhone 4; even going so far as to call it the iPhone 4S. 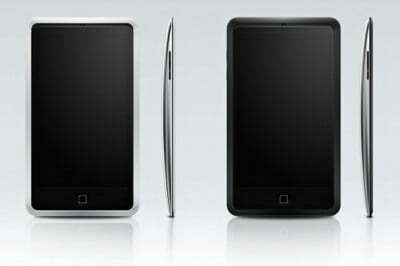 Both This is My Next's iPhone 5 rumors, and now BGR's dispute that. Unless Apple is planning two new iPhones for 2011 (iPhone nano? ), someone is going to have to make up their mind and soon. BGR has also heard that it is possible Apple will hold the iPhone 5 announcement event at the beginning or middle of August with availability to follow as early as the end of August. TiPb has heard similar August rumblings from big box retail sources, but their information is usually hit and miss and hard to source. The major issue with an August timeframe is obviously Apple's announcement of a fall release of iOS 5. There is no way Apple will release a new iPhone prior to the release of iOS 5 -- at least every new iPhone to date has shipped with a new version of iOS. Could Apple announce iPhone 5 in August and release it alongside iOS 5 in September? Would that make sense?